Did Embassy in DC send Khashoggi to Istanbul? 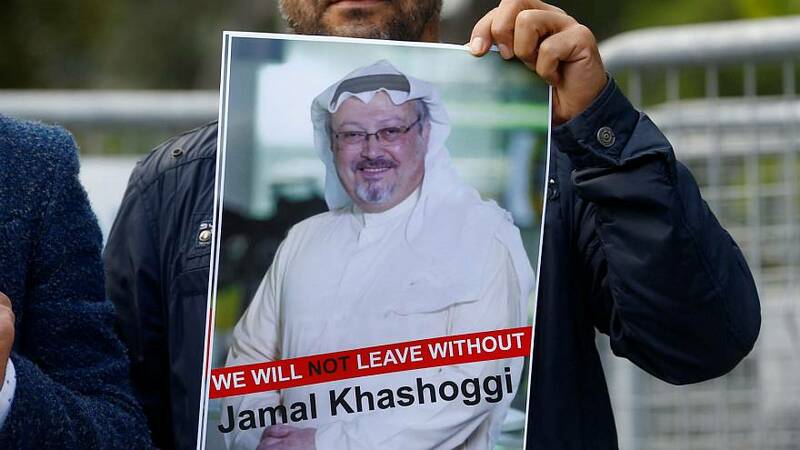 The Saudi journalist, missing for a week, Jamal Khashoggi was sent to the Saudi Arabian consulate in Istanbul from the Saudi Embassy in Washington DC. That’s according to NBC news who said friends of the missing journalist said it prompted concerns that he was being lured into a trap. NBC also reports that two other people said he was told to return another day after going to the consulate in Istanbul. President Trump has said he’ll talk to Saudi Arabia officials about the missing journalist at some point. Meanwhile, the United Nations human rights office urged both countries to investigate the case. It has voiced deep concern at the "apparent enforced disappearance". "We call for cooperation between Turkey and Saudi Arabia to conduct a prompt and impartial investigation into the circumstances of Mr Khashoggi's disappearance and to make the findings public," U.N. human rights spokeswoman Ravina Shamdasani told a Geneva news briefing. Saudi Arabian officials have invited Turkish experts and related officials to visit its consulate in Istanbul. That’s according to Turkey's state-owned news agency Anadolu. Turkey's Foreign Ministry said a search would be conducted there. Khashoggi entered the consulate last Tuesday and has not been heard of or seen since, according to his fiancée and friends. Turkish officials told Reuters at the weekend they believed he had been killed inside the Saudi consulate. This is a claim denied by the Persian Gulf kingdom’s officials. Turkish Foreign Ministry spokesman Hami Aksoy said the investigation was "continuing intensively", and that the Vienna Convention allowed for consulates to be searched by the authorities of the host country with the consent of the mission chief. "The consulate building will be searched in the framework of the investigation," Aksoy said in a written statement. There was no immediate comment on the report from the Saudi authorities. Khashoggi was previously a prominent newspaper editor in Saudi Arabia and an adviser to a former head of intelligence. His disappearance has sparked global concerns, particularly after Turkish sources said over the weekend that authorities believed he had been killed inside the consulate. Turkish President Recep Tayyip Erdogan on Monday asked Riyadh to prove its claim that Khashoggi had left the Saudi consulate in Istanbul, while Washington urged Saudi Arabia to support an investigation into his disappearance.